It is Oscar Sunday here in LA and the excitement is certainly building for the Red Carpet. There is not a single Oscar nominee that does not deserve to win. Our attention will be on the Documentary Films, the Foreign Language Feature Films, the Animated Short Films and Short Action Films. These categories sometimes do not get as much attention as the big headliners but are extraordinary. See our special feature Oscar Mania. Be sure to check for behind the scenes interviews with the directors, screenwriters and stars as well as the official trailers. 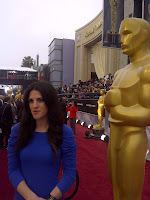 Nick Verreos, Oscar expert on Fashion is on the Red Carpet today. He joined us at the FIDM where the 5 Oscar nominated Films for Costume have costumes from the movies on display. Be sure to check the myETVmedia Oscar Mania Episode on Costume in Film. The Foreign Language Oscar Nominated Films hold surprises. No one can be sure who the frontrunner is with Separation the Iranian film taking top honors yesterday at the Independent Spirit Awards. Footnote from Israel has become a favourite. Israel has been at the Oscars 10 times previously and has yet to capture the elusive Oscar. Canada has won the Oscar for Foreign Language Film before and Monsieur Lazhar is a superb film that is certainly Oscar worthy today. 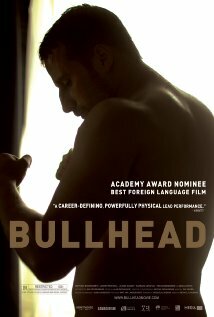 BullHead from Belgium is one of the rare R rated film in contention. 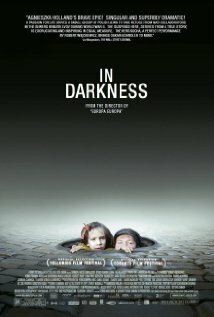 In Darkness from Poland is a wrenching true drama about wartime horrors for Polish jews. Either of these two dramatically different films could certainly sweep away with the Oscar. See our interviews with the Foreign Language Oscar Nominated directors and screenwriters. Bullhead is director/screenwriter Michael Roskam first feature! Agnieszka Holland has had 3 previous Oscar nominations and an extraordinary career as a filmmaker. In the Documentary Category we will wait to see if the war doc Hell and Back Again takes the Oscar. 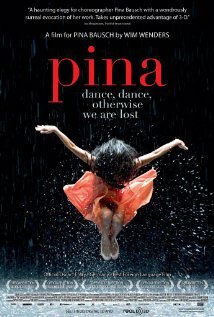 Pina is an extraordinarily beautiful and touching movie about Dance. It shows the remarkable choreography of Pina Bausch. It is filmed using 3D and shows dance in a way never seen before. Could it be the winner? 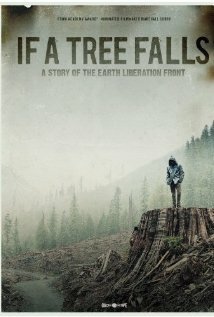 Could the Ecoterrorism doc “If A Tree Falls: A Story of the Earth Liberation Front”, about environmental desecration here in North America, capture the award? The hard-hitting documentary was a winner at Sundance. The FBI is not so happy having put the Earth Liberation Front on the top of its National Terrorist list. Then there is the HBO documentary about the 3 boys who were murdered, “Purgatory 3: Paradise Lost”. This is a story that has been kept alive due to the excellent documentary work by HBO. It raised international media attention and brought major celebrities to the cause including Eddie Vedder of Pearl Jam and director Peter Jackson. It has lead to the release of the 3 teens, now men, who were unjustly sent to prison for 20 years and faced death row for murders they did not commit. Finally there is the inspiring documentary “Undefeated”about a coach who leads a loosing inner city football team to glory while giving these young men and their whole community pride and hope . 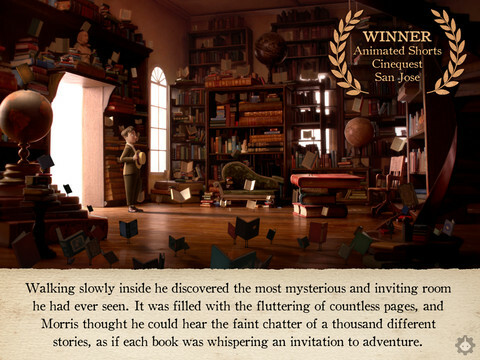 The Short film Oscar category is equally remarkable. The skill of story telling in this very immediate format is becoming more remarkable every year. See Oscarmania: Episode 2: Shorts for a great guide to the Nominees. 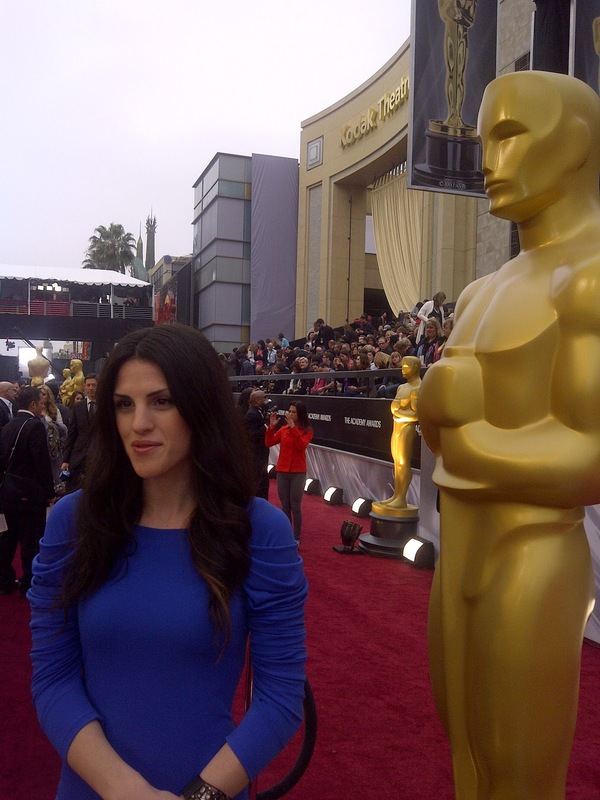 Join us for the Oscars in Review after the Awards Ceremony on myETVmedia. Make sure to check our reviews, press interviews and behind the scenes coverage of the year of events that have lead to the Oscars. We’re in the thick of the Music Awards Season and sometimes keeping track of these events gets a little confusing. We’ve taken the top 10 Music Award Shows of the year and will provide a quick blog guide. Month by month we’ll cover what’s coming up, the bare essentials and highlights. January and February is when all the award ceremonies blast off. The People’s Choice Awards rolls out the Red Carpet first followed by The Grammy’s and The Brit Awards and the Canadian Junos. The People’s Choice Awards (Nokia Theatre, LA, California) have come and gone, The 54th Grammy’s are this Sunday night (Feb 12th, Staples Centre, LA, California), The 32th Brit Awards air live Feb. 21st from London’s O2 Arena and The 41st Juno Nominees are April 10th, Scotia Bank Place, Ottawa, Canada, this year and air live on CTV. 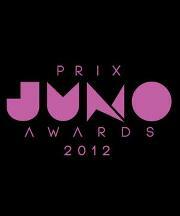 Nominees for Juno’s have just been announced. The Juno’s unlike the other awards shows do not have a permanent home and are held in different cities across Canada each year. This has a lot to do with Canada’s unique geographical and cultural diversity (5300 miles coast to coast, second largest country in the world). The People’s Choice Awards (LA, California) kick off Awards Season, recognizing the people and the work of music, television, movies and books. It is widely believed that the Peoples Choice Awards results are indicative of who will win a Grammy in February. The People’s Choice Awards aired January 11, 2012 at the Nokia Theatre in L.A. Broadcasted on CBS and hosted by Kaley Cuoco. These are poll-based awards, which include a mixture of online polling, Internet Video viewing data and candidates determined by national ratings averages, box office grosses and album sales. An absent Katy Perry cleaned up at The People’s Choice Awards this year taking home awards for Favourite Female Artist, Favourite Song of the Year for “E.T”, Favourite Tour Headliner, and Favourite Music Video for Last Friday Night (T.G.I.F). Lady Gaga’s ‘Born This Way’ took home Album of the Year and Demi Lovato surprised everyone by beating out Beyoncé, Katy Perry, Lady Gaga and Rihanna for Favourite Pop Artist of the Year. 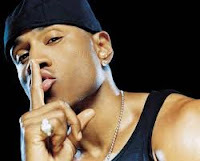 Next on the list of Music Awards is the Grand Daddy of all music award shows: The Grammys, airing on CBS (this) Sunday, Feb. 12, 2012 8pm, hosted by LL Cool J. Touted as ‘music’s biggest night’, this is considered one of the most prestigious awards in the music industry because it is based on peer-to-peer evaluation. Members of the Music Industry and Record Companies submit recordings to be nominated and winners are determined by votes from members within the industry. The National Academy of Recording Arts and Science recognizes outstanding musical achievements based on these votes. The Grammy’s are music equivalent to the Academy Awards for film, Emmy Awards for Television and the Tony Awards for Stage. This year Adele returns to the stage for the first time since her vocal cord surgery. Kayne West, Adele, Foo Fighters, Bruno Mars and Bon Iver lead the nominations. And for the first year ever The Grammy’s are featuring a special Dance/Electronica spotlight featuring current Grammy Nominees Chris Brown, Deadmau5, Foo Fighters, David Guetta and Lil Wayne. Electro meets R&B meets Rock meets more Electro meets Rap. This is going to be spectacular. 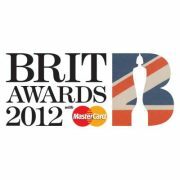 The BRIT Awards are Feb. 21, 2012 and will be hosted by James Corden and held in London’s 02 Arena. The BRIT Awards are the British Phonographic Industry’s annual pop music awards. The awards are voted for by the BRITS Academy, which is comprised of 1,000 individuals from across the U.K’s music business. Their votes are collected and tallied online by the ERS (Electoral Reform Services) this year’s performances include: Adele, Blur, Bruno Mars, Coldplay, Florence and the Machine, Noel Gallagher and Rihanna. Ed Sheeran leads the nominations with four, including a nomination for British Male Solo Artist of the Year. Robbie Williams is the record holder for the greatest number of BRIT Awards. He won 12 for Solo Artist and 5 awards as a member of the Pop Boy-Band sensation Take That. A personal ‘favourite BRIT award moment’ was the 1997 performance by The Spice Girls, where Geri Halliwell debuted her infamous ‘Union Jack’ dress (YouTube link below). That dress went on to be auctioned off for 41,000 pounds and win the Most Memorable Performance of 30 years at the BRIT Awards in 2010. 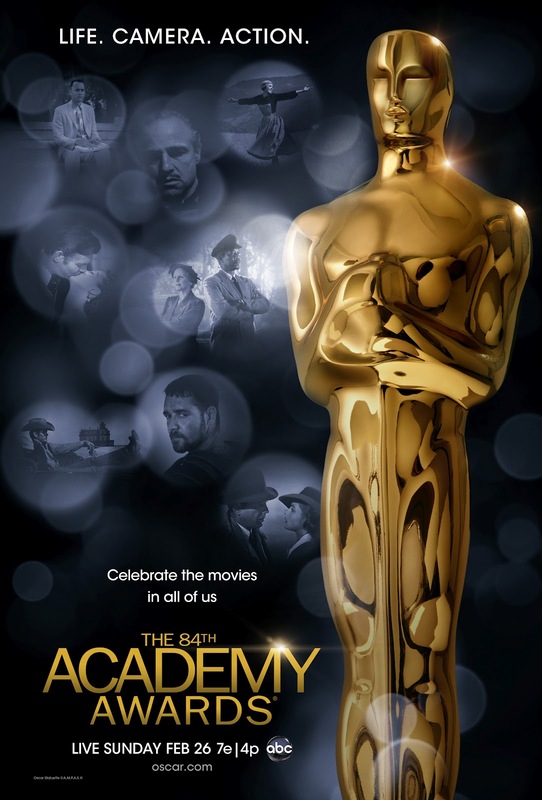 The biggest Awards Show of all this month happens Feb. 26th, LA Grand- the 84th Oscars! MyETVmedia.com will be there, stay tuned! More than 200 million people worldwide play casual games via the Internet and “they are changing the games industry: So far only ca. 10%-20% of the population regularly play digital games (called “gamers”). Social games are for the other 80%” claims Jens Negemann CEO of Wooga (4). The Casual Games Association came out with its 2012 Casual Games Sector Report earlier this month. With an estimated US audience of 77.9 million casual gamers, clearly casual and social gaming is a trend that is not going away. Think: Casino games such as the multiplayer casino game Texas HoldEm poker. 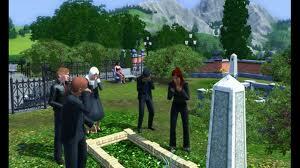 Think: Garden of Time, Sims, Cityville. These are the sorts of games that are on a rampant rise. Easily accessible from mobile platforms and within browsers, easy to turn on or off on a impulse, and basically great time wasters, casual games provide a simple, technologically uncomplicated and widely accessible way for youth and adults alike to game. So, with those almost 80 million people in the US alone to be using social gaming this year, who are the major players in the casual game world, what are people spending, and how much does this industry stand to gain? Almost all social network games are built on a “freemium” model - the game is offered for free while charging a premium for more advanced features, functionality or related products or services. · Average console game player (i.e. PS3, XBox 360) is a 37 year old male, the average social network game player is a 40 year old female (US stats). 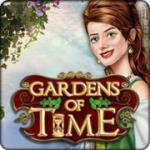 · Social network games rely heavily on their big spenders, or ‘whales’. Whales spend more than $25 per month, on average. While whales represent less than 15% of a game’s paying users, they account more than 50% of a typical game’s revenue. · The top ten content providers reach more than half of the total gaming audience on Facebook, Zynga leading the pack with over 46 million daily active users (DAU) seriously losing market share from previous years. Electronic Arts (EA) comes in 2nd place with just over 12 million users, 3rd Wooga with 7 million DAU. · Estimated worldwide revenues in social network games for 2012 is $6.20 billion (yes, billion). For 2014? $8.64 billion. According to application traffic tracking site AppData.com’s leaderboard the Facebook games with the most active users for December are: CityVille, CastleVille, FarmVille, Texas HoldEm Poker and The Sims Social. Facebook’s rating was based on games that had the most active users and received the highest user recommendations in 2011.